Henry Rutherford "Harry" Jackman, OC (November 5, 1900 – November 22, 1979) was a Canadian politician and successful entrepreneur. 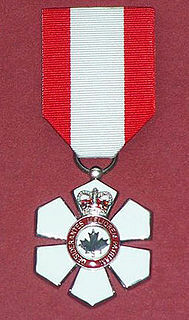 In 1973, he was made an Officer of the Order of Canada. Harry Jackman represented the electoral district of Rosedale in the House of Commons of Canada from 1940 to 1949. He was first elected in 1940 as a member of Robert Manion's World War II National Government caucus (which, despite the name, formed the Official Opposition in the House of Commons of Canada), after wresting his party's nomination from Conservative incumbent Harry Gladstone Clarke. Jackman was re-elected in 1945 as a Progressive Conservative. He ran again in 1949, but was defeated. An electoral district in Canada, also known as a "constituency" or a "riding", is a geographical constituency upon which Canada's representative democracy is based. It is officially known in Canadian French as a circonscription, but frequently called a comté (county). The House of Commons of Canada is a component of the Parliament of Canada, along with the Sovereign and the Senate. The House of Commons currently meets in a temporary Commons chamber in the West Block of the parliament buildings on Parliament Hill in Ottawa, while the Centre Block, which houses the traditional Commons chamber, undergoes a ten-year renovation. 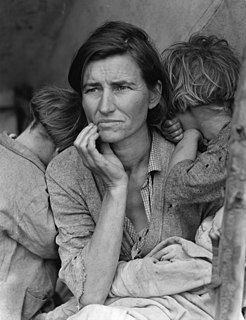 In business, Jackman built the Empire Life group of financial service companies during the Great Depression. The Empire Life Insurance Company is a Canadian life insurance and financial services company with its headquarters in Kingston, Ontario, Canada. It was incorporated in 1923 and is a subsidiary of E-L Financial Corporation Limited of Toronto, Ontario, Canada. The company provides individual life, health and investment products as well as group life and health products through independent distribution partners including financial advisors, management general agents, national account firms and employee benefit producers. Empire Life is the parent company of Empire Life Investments Inc, a Canadian investment management company launched in 2011. Jackman married Mary Coyne Rowell, the daughter of Canadian politician Newton Wesley Rowell, in 1930. They had four children: Henry (Hal), Eric, Edward, and Nancy. Henry Newton Rowell Jackman, is a Canadian businessman who served as the 25th Lieutenant Governor of Ontario from 1991 to 1997. He is the son of former Member of Parliament Harry Jackman and philanthropist Mary Rowell Jackman. His mother was the daughter of another former Member of Parliament, Newton Wesley Rowell. His sister, Nancy Ruth, is a philanthropist who was appointed to the Senate in 2005. Nancy Ruth, CM is a Canadian activist, philanthropist and former Canadian Senator. She was appointed by Prime Minister Paul Martin, on March 24, 2005. While initially appointed as a Progressive Conservative, on March 28, 2006 she joined the Conservative caucus. She is Canada's first openly lesbian senator. She retired from the Senate on January 6, 2017, upon reaching the mandatory retirement age of 75. William Earl Rowe,, was a politician in Ontario, Canada. He served as the 20th Lieutenant Governor of Ontario from 1963 to 1968. Newton Wesley Rowell, was a Canadian lawyer and politician and leading lay figure in the Methodist church. Rowell led the Ontario Liberal Party from 1911 to 1917 and put forward a platform advocating temperance. Rowell's Liberals failed to oppose the Whitney government's passage of Regulation 17 which restricted the teaching of the French language in schools alienating the province's French-Canadian minority. Henry Herbert Stevens, was a Canadian politician and businessman. 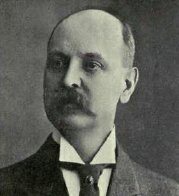 A member of R. B. Bennett's cabinet, he split with the Conservative Prime Minister to found the Reconstruction Party of Canada. Gurbax Singh Malhi is an Indian-born Canadian politician. A Liberal, he was first elected as the Member of Parliament for Bramalea—Gore—Malton in 1993, and served as its representative in the House of Commons for 18 consecutive years until his defeat in the 2011 election. Glengarry was a federal electoral district represented in the House of Commons of Canada from 1867 to 1917, and from 1925 to 1953. It was located in the province of Ontario. 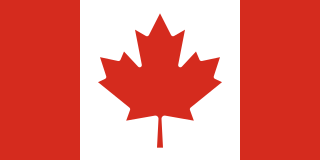 It was created by the British North America Act of 1867, and consisted of Glengarry county. Thomas Ashmore Kidd was speaker of the Legislature of Ontario in 1930–34 and served as Conservative MLA for Kingston from 1926 to 1940 and Progressive Conservative MP for Kingston City from 1945 to 1949. Henry Read Emmerson was a Canadian business executive, salesman, and politician. Major-General Sir Henry Joseph d'Avigdor-Goldsmid, 2nd Baronet, DSO, MC, TD, DL, sometimes known as Harry d'Avigdor-Goldsmid, was a British army officer, company director and politician. Edward Guss Porter was a Canadian politician. Alfred Henry Bence was a Canadian politician and barrister. He was elected to the House of Commons of Canada in 1940 as a Member of the Progressive Conservative Party to represent the riding of Saskatoon City. He was defeated in 1945 and 1949. He was an alderman for Saskatoon between 1939 and 1940. Percy Chapman Black was a Canadian politician, businessman and farmer. Black served in both the Canadian House of Commons and the Nova Scotia House of Assembly. George Russell Boucher was a Canadian politician and barrister. Independent Conservative is a description which has been used in the United Kingdom, Canada, and elsewhere, to denote a political Conservative who lacks a formal affiliation to the party of that name. Alan Cockeram was a mining executive, military officer and Canadian politician who sat in the House of Commons of Canada in the 1940s. He is best known for having given up his York South seat in order to give Conservative leader Arthur Meighen an opportunity to enter parliament only to see the upstart Co-operative Commonwealth Federation (CCF) defeat Meighen in a by-election. Charles Henry was a Liberal party member of the House of Commons of Canada. He was born in Toronto, Ontario. Harry Gladstone Clarke was a Canadian parliamentarian and insurance agent. George Henry Stokes was a Canadian politician, breeder of Ayrshire cattle and a farmer by career. Stokes served as a National Government and Progressive Conservative party member of the House of Commons of Canada. He was born in Rawdon Township, Ontario. Almon Secord Rennie was a Canadian businessmand and politician. Rennie was a Liberal party member of the House of Commons of Canada. He was born in Linwood, Ontario and became a merchant by career. David Ignatius "Nish" Jackman was a labour leader and politician in Newfoundland. He represented Harbour Main-Bell Island in the Newfoundland House of Assembly from 1949 to 1956. This article about a Progressive Conservative Party of Canada Member of the Parliament of Canada is a stub. You can help Wikipedia by expanding it.